A Course Completion Certificate is awarded to students who were present for all classes within a course. If a student has not been able to attend all classes, but has good reason for their absence they may still be eligible for a Course Completion certificate. The student must provide evidence to show why they were absent in order to be eligible for the certificate. Evidence may include: a doctor’s note or an email from their School about a compulsory class/event. Students who were not able to attend all classes but would still like a certificate can request a Certificate of Attendance. This certificate will show how many classes have been attended. Please note, you must have attended a minimum of 50% of the course to get a Certificate of Attendance. How do I request a certificate to confirm my attendance on the In-sessional English courses? When will my certificate(s) be ready? We aim to produce certificates within 3 working days of receiving your email, however during busy periods it may be a little longer. 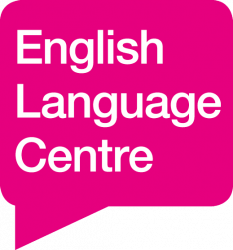 You will receive an email to let you know when your certificate is ready for collection from the English Language Centre office. Collect your certificate(s) from the English Language Centre office (the Marina Building next to The Swan pub). If you have a question about the In-sessional Course certificates that is not answered here, please email englishlanguage@lincoln.ac.uk and we will help you.